Andrew Bacchus has worked both the front lines and behind the scenes (program development, program evaluation, community consultation, etc.) with gang affiliated youth in the City of Toronto, throughout Ontario and in other parts of Canada for more than 19 years. 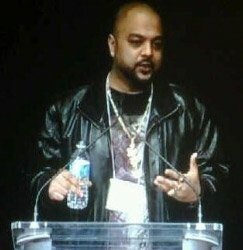 For the first seven years he worked as a Community Worker and Program Coordinator for Youth Clinical Services in Toronto’s Jane Finch Community, for next four years he worked as a Project Coordinator for CTI’s Breaking the Cycle Project, an innovative gang exiting program in Toronto where he served gang involved youth city wide. For the following 6 years, he served as the Vice President of Astwood Strategy Corporation – a leading Criminal Justice Consulting Firm – where he played a key role in the company’s Criminal Justice work throughout Canada. His work has been featured in the following media: Canada AM, CTV, Global News, CP 24, Much Music, Crew TV, Toronto Life, Globe and Mail, Toronto Star, Toronto Sun, Eye Magazine, National Post; LA Times, The Boston Herald, Ottawa Citizen, Ottawa Sentinel, CHRY, CBC Radio, among others. Andrew is also a much sought after public speaker on the topic of youth gangs in Toronto, and has spoken at many conferences including.